Nurse Pauline Cafferkey is planning to return to Sierra Leone for the first time since she fell seriously ill with ebola. The public health nurse said she hopes the fundraising trip in May will help to bring ‘closure’ after a ‘terrible couple of years’. 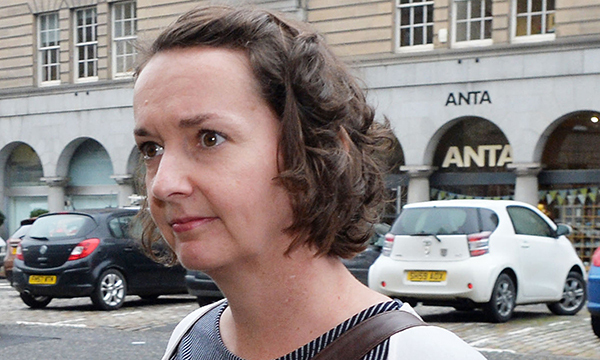 Ms Cafferkey contracted Ebola in 2014 and has had complications linked to the disease, at one stage falling critically ill.
She also faced Nursing and Midwifery Council (NMC) proceedings over events surrounding her return to the UK, for which she was later cleared. Speaking to the BBC’s Victoria Derbyshire programme, MS Cafferkey said going back to Sierra Leone will be psychologically important. She said: ‘It’s where things kind of started for me and I've had a terrible couple of years since then. ‘So it will be good to go back just for things to come full circle for me and a little bit of closure. Despite her experience, Ms Cafferkey, who lives in Glasgow, said she was excited to go back and is ‘not going there with any trepidation’. She will take part in a 10km run during the fundraising trip for Street Child, a UK charity that helped young people affected by the epidemic. The charity estimates around 12,000 children were left orphaned, with 1,400 still critically at-risk and struggling to survive. ‘The Ebola patients in Sierra Leone didn't know what they were going home to, or who was left alive in their family. They might be going back to sheer hell,’ she said. During the 2013-2016 Ebola crisis in Guinea, Liberia and Sierra Leone, more than 28,000 cases were reported, resulting in over 11,000 deaths. Ms Cafferkey, a nurse of 16 years who had carried out aid work, travelled to Freetown, Sierra Leone, to volunteer at an Ebola treatment centre with Save the Children organisation in 2014. She returned to the UK on 28 December that year for what was supposed to be a break as part of a rotation system, but then fell ill seriously herself. Her condition was said to have stabilised by early January 2015 and she was discharged from hospital later that month, with doctors saying she had completely recovered and was not infectious in any way. However, she was readmitted to hospital on three occasions – in October 2015 and February and October 2016. In 2016, she faced NMC misconduct proceedings over allegations relating to her arrival in the UK in the early stages of her infection. Ms Cafferkey was cleared by the NMC as her judgement at the airport had been so impaired by the developing illness that she could not be found guilty of misconduct. She said the proceedings were a ‘massive stress’ at a difficult time, but she did not hold anything against the NMC. However, she said she had been ‘disappointed with Public Health England and how they looked after me when I was in Heathrow’.